I just dropped extract onto the bed of activated carbon pellets. They get gummy and clump up but boy howdy do they work well to hold big dabs. Lots of oil runs out and into the bottom of the bowl this was. I was always left with a lump hard carbon pellets bound by the glue like aspect of the extract. It really does wirk very well however it is a hit lossy compared to a dab rig. The carbon definately soaks up some but in the trand scheme of things it is a very smooth way to vaporize. I also have loaded that pipe with fiberglass matt and loaded onto it for smoking. It works great too but is sort of messy. Inside a real wooden bowl it combines with natural flavors and gives a fairly sophisticated feel to the smoke. Briar wood is my choice this way but have not had one for some years. They sell briar wood blanks though and I bet once folks catch on to this kind of smoking that it will also be popular. The flavors are just too good. These seem a lot like those vapor stones from Health Stone, but less porous. Any sintered material frit will give higher surface area for evaporation than a simple banger or bowl. DIY? Why bother making your own frits when these are relatively cheap? The question is whether or not these are too dense. I guess I didn’t know what the original point of this question was. I don’t see any reason you couldn’t infuse your own porous “high temperature sponge” material with resin. Like @Beaker , I would recommend carbon, but only if the pellets are packed together without the use of the glue-like resin often used to make pellets… please be wary of that, @Beaker ! You could even just mix molten resin and carbon (regular charcoal) or other safe high temperature solid powder together to make your own “dab tab” mixture. Just be aware that doing this with activated carbon, or even loading some ceramics with resin, could result in some isomerization of the THC… possibly during loading, and probably when vaping. A simple way to test this hypothesis is to load the material with melted CBD, then vape that. If it gives you a buzz, then isomerization of the CBD to Δ8-THC has occured. I got mine from an exotic fish section. I have a theory thwt they wouod not add anything to such pellets owing to the delicste nature of tropical fish. It is amazing how many odds and ends and little dishes and such that Petco offers. I am a little leary of leas in paint on the ceramics because they are from china. Chinese items have a bad track record for letting lead slip by. Typically for something like the pellets I load them dry and pull a flame on them to get as hot as possible. Normally burning out the contaminates is just a matter of cooking off dust and such but if glue had been encouncered it should have been noticed. I also used to oack my Vapir One with the same pellets in a large chamber just over the extract disk. I was trying to attentuate terpenes early on by doing this. It did not hurt but after several uses I doubt it helped much Still though, after several months I took out the gunked up carbon pellets and used them in my pipe. Very sweet tasting smoke and VERY relaxing. Thanks for the replies everyone, I should of been a bit more clear that the secret sauce that I was looking to suss out was pertaining to DabTabs claims that their product can be handled for an extended period of time and left in high heat areas without becoming sticky or leaking out it’s payload. I’m going to get a few different types of media, see what i can do, and post my findings. I actually use dab tabs pretty regularly. The whole point behind them is a no mess dab. As an expiranced connoisseur as myself I use 2 tabs at a time. I heat up my quartz banger as I normally would and wait 30 seconds and drop the tabs flat side down then drop the carb cap on and wait about 20 more seconds then begin ripping it as normal. Then you pull the tabs out and have minuscule amount of clean up. The tabs themselves come in little plastic containers and I’ve left them in my pockets and in my car and I’ve never had any “leak” on me. They’ve all stayed confined in the ceramic. I’m happy to answer any direct questions about them! I can even send pictures. Do u buy them prefilled or what? Also why are some broken? Are they reusable? They are pre-filled. One of them broke during the filling process and became unsellable. I personally wouldn’t try to re-use them until I figured a way to clean all the residual oil out. What is the process to fill them? Can un-filled ones be purchased? Why does it say “eat it”? Do these retain terpene content very well? Do they actually TASTE good? If not, I have zero interest in them. I am also very interested in if these can be purchased “un-filled”? As well as how they are filled? And why does it say “eat it”? These can’t be purchased empty. 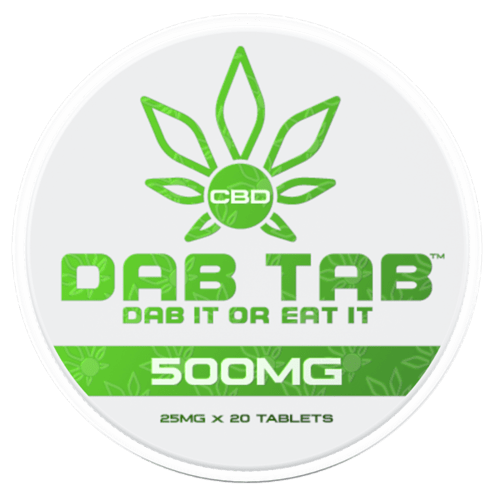 Nathenq does not sell the dab tabs we are discussing. You cannot buy unfilled ones. 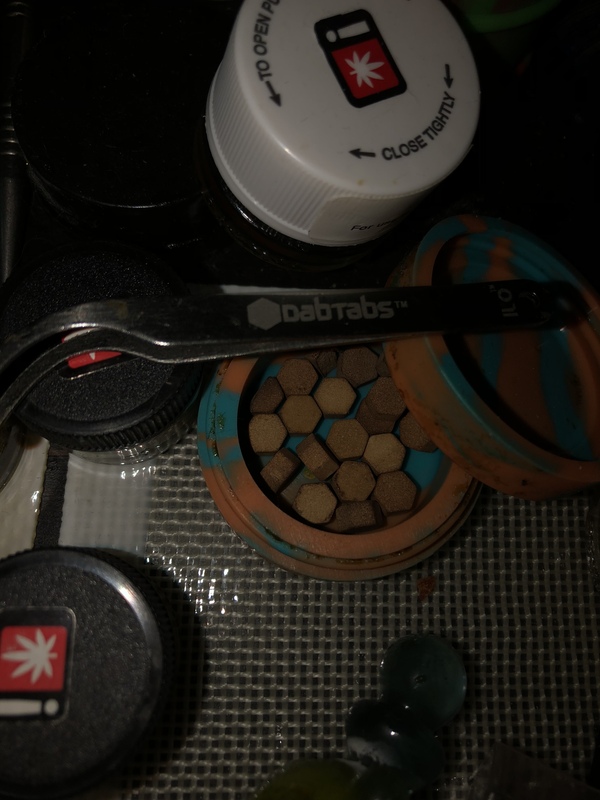 You do have to have a contact with dab tabs and unfortunately my company is the only one who holds the contact so I’ve been making every dabtab in Oregon. With that being said, I cannot explain how to fill them. They do retain terpenes rather well. I’m honestly suprised by how amazing they worked. If you get a chance I’d highly recommend “Pineapple” it’s been my favorite so far.